A “Class of 1964” inductee, Roger Bedard played in four leagues over his 12-year professional career. He ranks 10th all-time in points (330) and 10th all-time in assists (197) in Reds’ history. 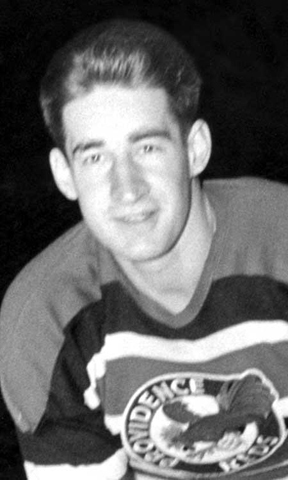 Bedard scored 133 goals and registered 298 PIM in 375 games during his eight seasons with Providence from 1944 to 1952. This center also skated in the AHL with Cincinnati in 1950 and spent one season in the Quebec Hockey League in 1952.